The Phillies have acquired Toronto Blue Jays relief pitcher Aaron Loup. The Phillies followed up their move for catcher Wilson Ramos Tuesday with a trade to (hopefully) bolster their bullpen. 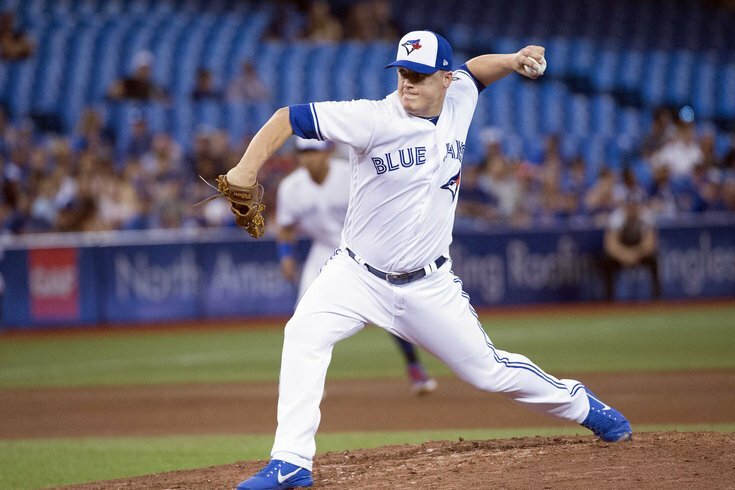 The team announced it has acquired Aaron Loup, a 30-year-old lefty, from the Blue Jays. Not quite a blockbuster deal, Loup has appeared in 50 games but has not earned a decision this season. He has an average ERA of 4.54 in 35.2 innings, but does have 42 strikeouts in that span. His career era of 3.47 is slightly better. Loup has a 92 mph fastball and could be a mile improvement over the team's existing lefty bullpen arms in Austin Davis and Adam Morgan. In the deal, Philly parts with a mid-level 24-year-old pitching prospect. MORE: Phillies acquire All-Star catcher Wilson Ramos from Rays | Al Morganti: The Phillies can't gloss over mistakes if they hope to contend | Was Asdrubal Cabrera trade a good or bad deal for the Phillies?